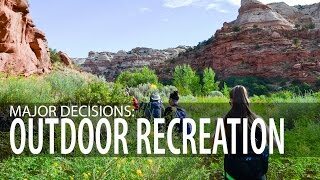 As the Director of SUU’s Outdoor Engagement Center, Dr. Briget Eastep enjoys creating outdoor educational experiences for students interested in careers in public lands, outdoor education and tourism. Dr. Eastep began her career in 1991 as a ranger in New Mexico. Since then her sense of adventure and passion for the great outdoors has led her across the country and to her current leadership position at SUU. 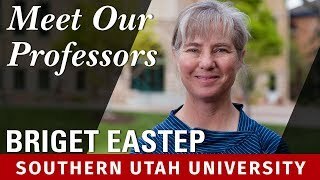 When Dr. Eastep started at SUU in 2006, she immediately created the Intergovernmental Internship Cooperative, which has since placed 1,368 paid interns into federal and state land agencies. Dr. Eastep partners with the parks and local communities broadening opportunities for service projects, additional internships and experiential education. 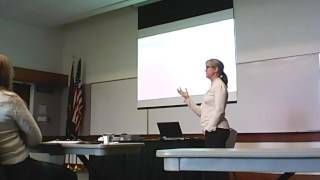 She also teaches outdoor leadership, policy and planning, and Leave No Trace ethics in the outdoor recreation in parks and tourism program. Under her guidance students gain confidence, stewardship, and leadership skills. 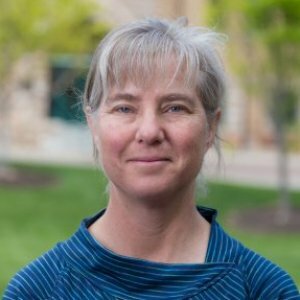 Dr. Eastep earned her bachelor’s degree in environmental studies from Cornell College and her master’s degree in recreation and environmental education from the University of New Mexico. Her Ph.D. is from the University of Utah in Parks, Recreation, and Tourism. Certified wilderness first responder by the Wilderness Medical Institute. Certified swift water rescue technician. Certified by the American Red Cross. 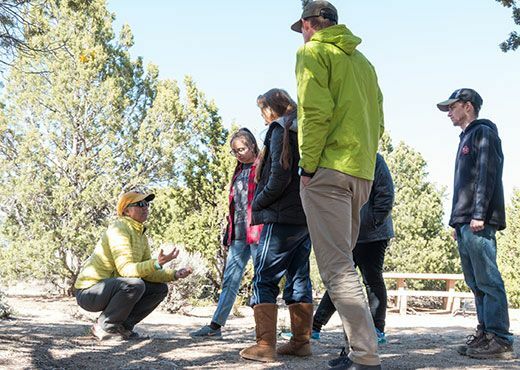 The Intergovernmental Internship Cooperative, a consortium of 19 federal and state land agencies, the Paiute Tribe, and Southern Utah University, has worked with Cedar Breaks National Monument to place students into employment, internship, and volunteer positions. 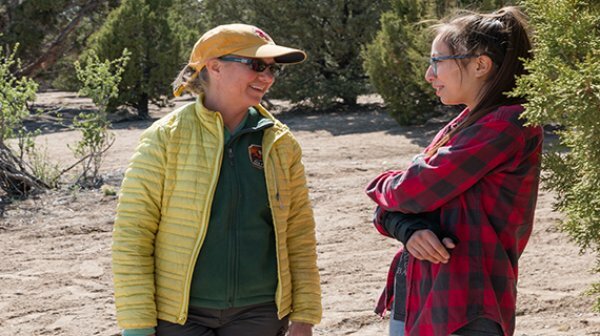 These positions expose students to public lands jobs and projects and link students to friends and mentors; leadership and job skills; and pathways to college, career fields, and to their public lands. It has a long name, the Intergovernmental Internship Cooperative or IIC. This month, the program received the National Parks Service Director’s Award for Partnerships. Paul Roelandt, the superintendent of Cedar Breaks National Park and Briget Eastep, from Southern Utah University, received the award from the National Parks Service. Funding for student internships in national, state and public lands. Research on native fish and wildlife. Recreation impact monitoring at Vermilion Cliffs. Funding for student internships with the Bureau of Land Management. Bureau of Land Management field office trails youth work project in Cedar City. Roberts, W. A Jr, Steed, E., Eastep, B. As part of a larger visitor profile study of southern Utah visitors during four seasons beginning summer 2010, data was collected regarding trip planning horizons, defined as the time that elapses between when trip planning begins and trip departure, and data regarding the influence of different sources of information, ranging from the Internet to past experience to guidebooks and brochures. There were significant differences in regard to planning horizons with regard to season of travel, education, age, and domicile, but not with regard to household income. With regard to source influence, past experience and the Internet were rated as the most influential, much more so than guidebooks, friends and relatives, and other sources. Results highlight the importance of hospitality businesses understanding their target groups through marketing research. Steed, E., Roberts, W., Eastep, B. 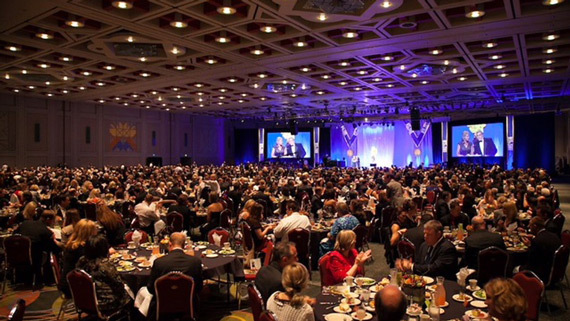 In 2010-2011, the Southern Utah University Hospitality Research Center joined with the Utah Office of Tourism to explore various characteristics of visitors to Central and Southern Utah. This study focuses on one of the study's research questions, which was the seasonal differences of visitor origin, destinations visited, activities selected and expenditures. Chi-square and ANOVA tests were conducted to determine differences. Many significant differences were detected, and many similarities were discovered. Cachelin, A., Eastep, B.T., Sibthorp, J. The objectives of this study were to develop a youth Affinity for Nature Scale that can be used to document the outcomes of children participating in nature based programs; to review three relevant strains of literature informing the development of the scale; and to review the importance of this scale’s utility in terms of the current state of children’s relationship with the natural world. A special topics course designed to develop outdoor recreation and leadership skills. Topics will vary depending upon demand. An online, eight week workshop that guides students through the process of creating and EDGE project proposal and plan tuned specifically to the Outdoor Engagement Center. An online eight week course that guides students through the process of verifying, reporting, and reflecting on their EDGE Project, which is tuned specifically to the Outdoor Engagement Center. Students will create a portfolio featuring their project. Course will cover foundations of natural resource recreation policy and planning: policy history, key agencies, wild land recreation policy, rec planning, management practices, & the NEPA process. This course is designed to give outdoor recreation majos and minor experience leading, teaching, and developing skills in the outdoor recreation field. A capstone course: ORPT majors will complete a capstone project to investigate current trends, issues, research, and professional standards in the field. Students will also prepare for internships.